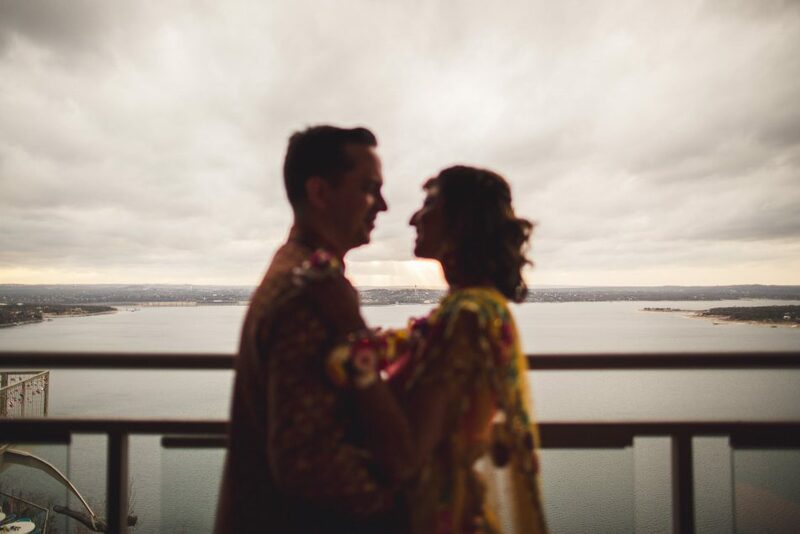 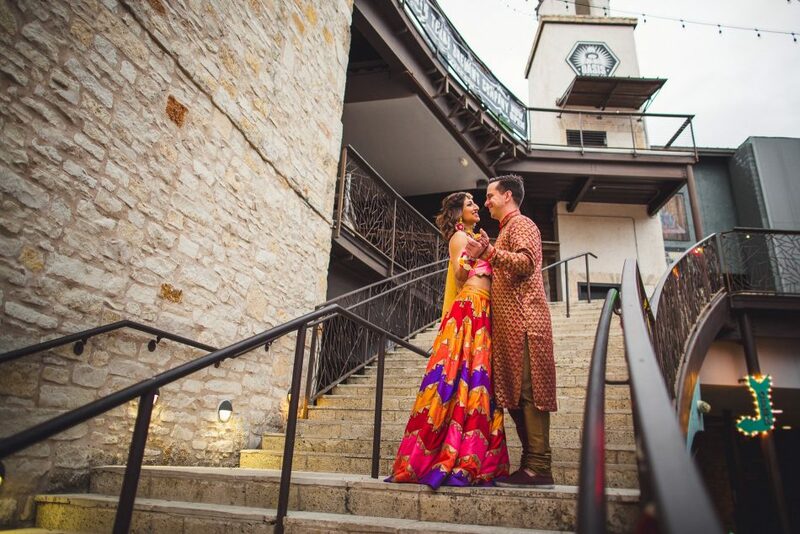 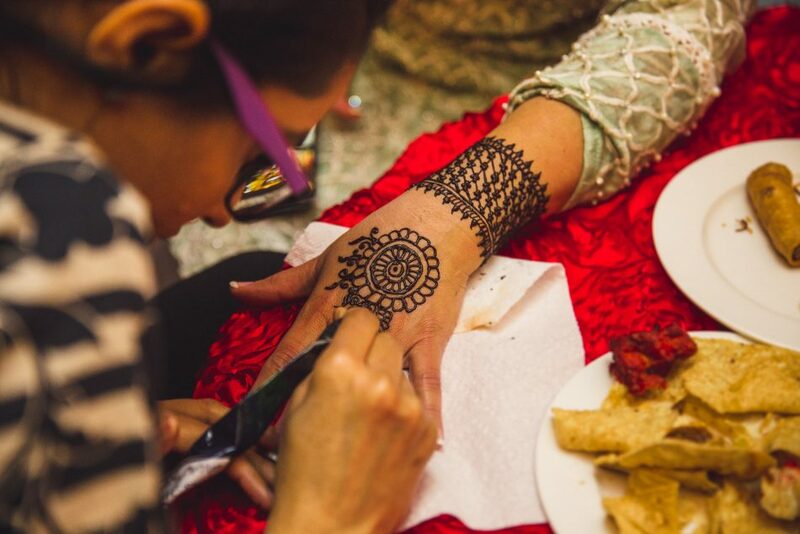 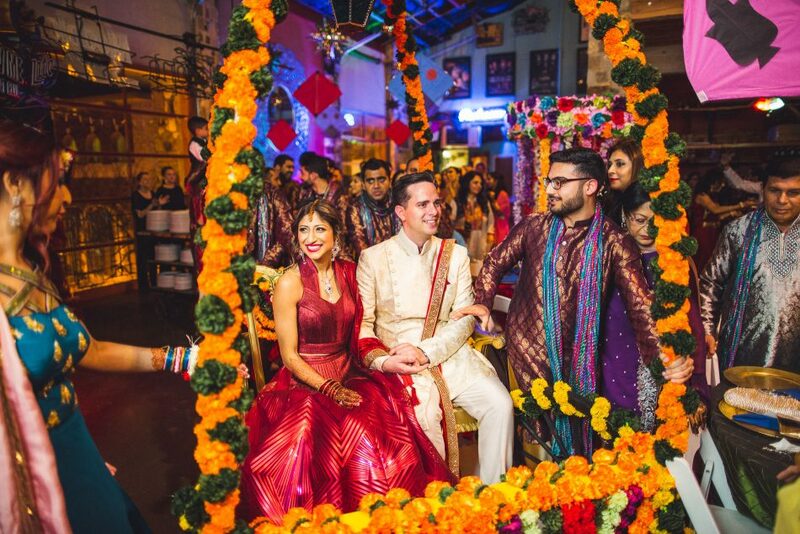 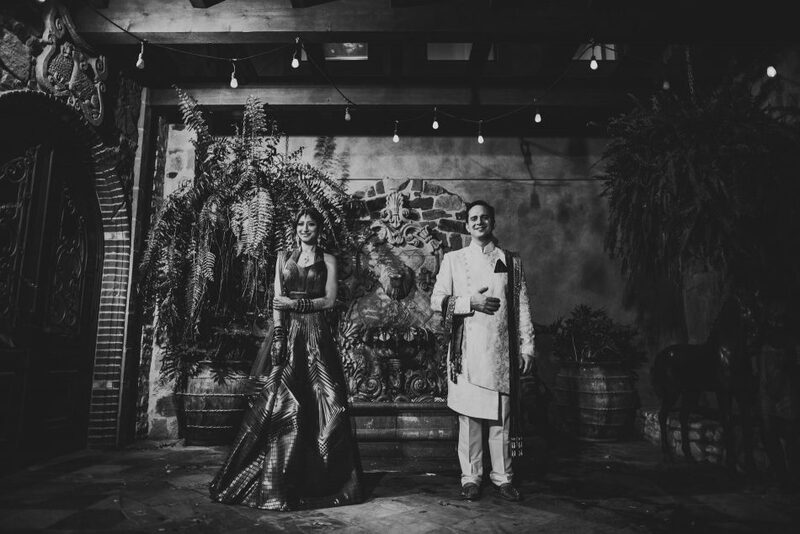 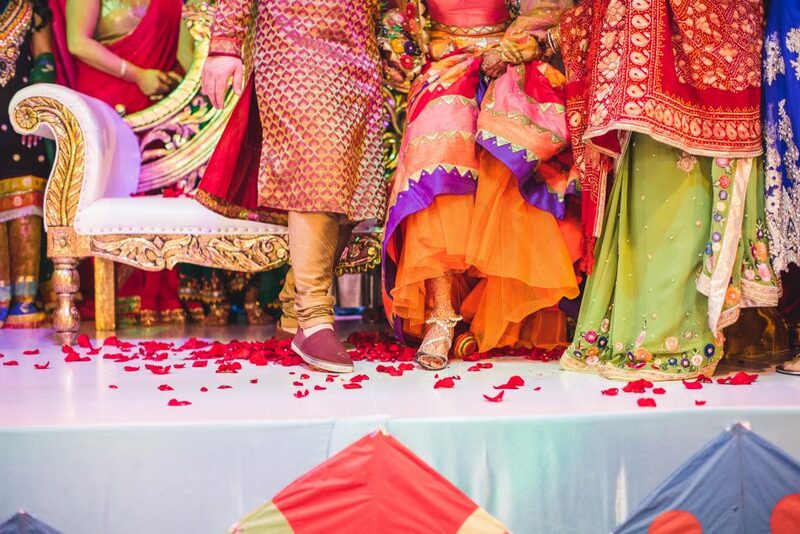 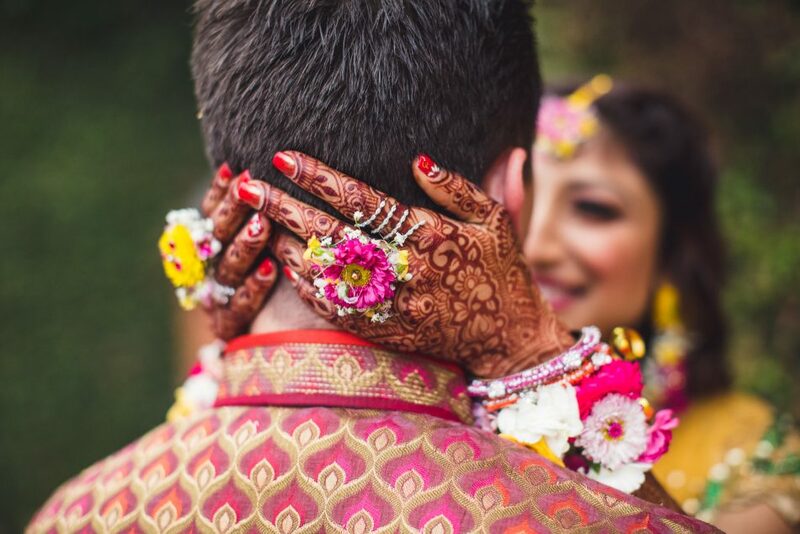 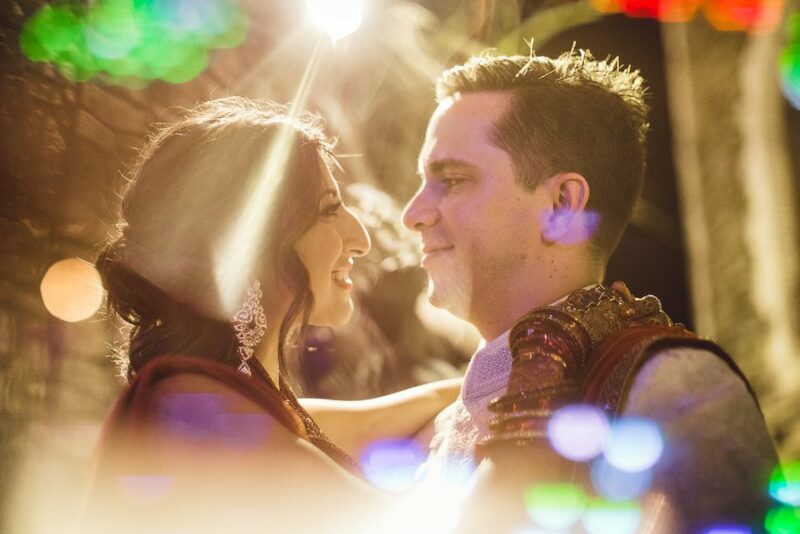 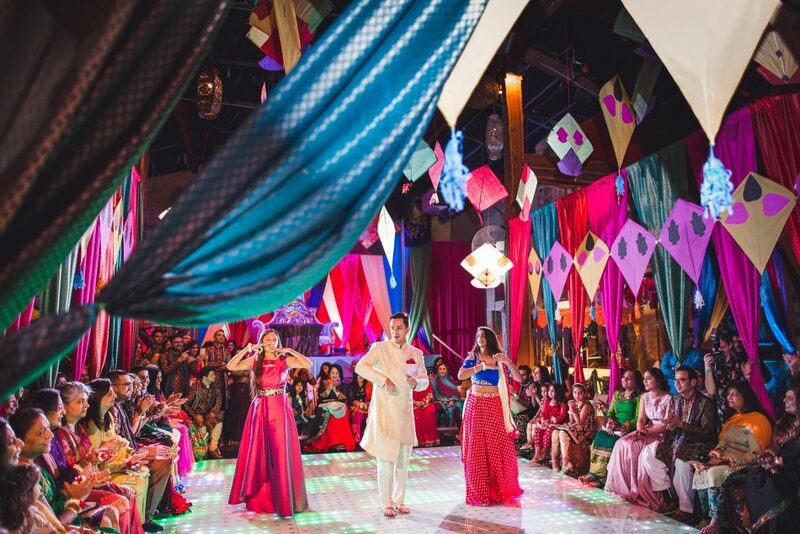 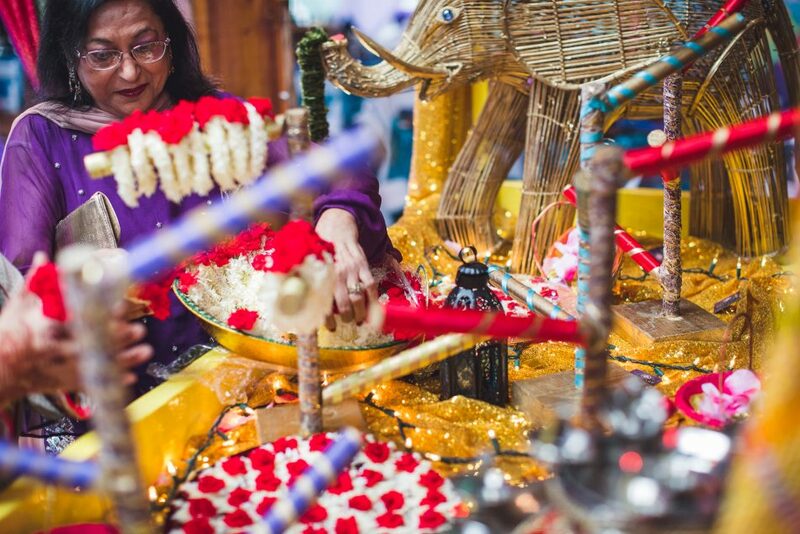 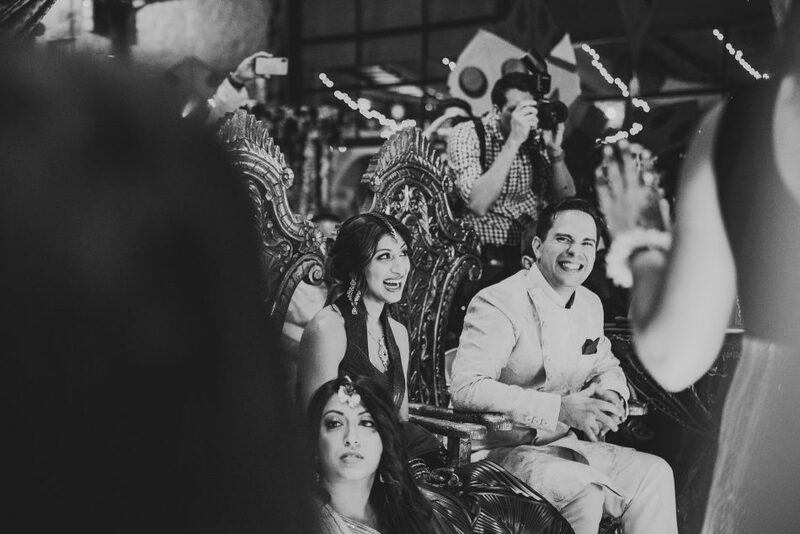 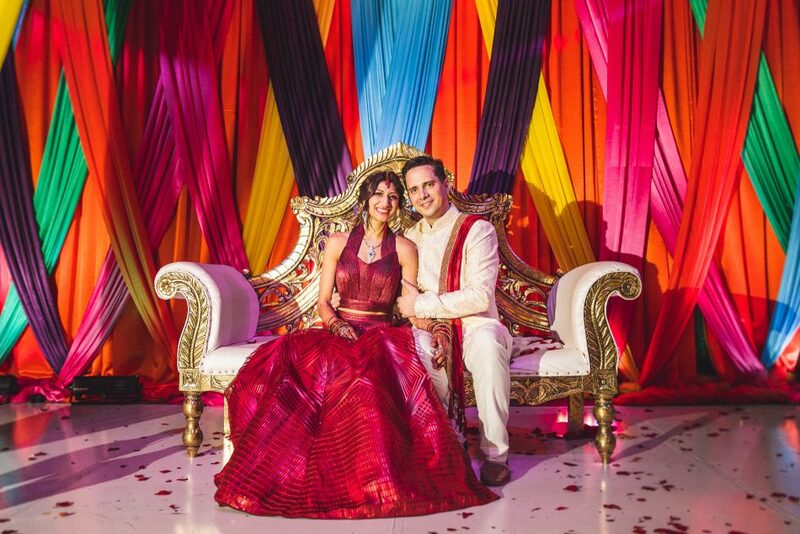 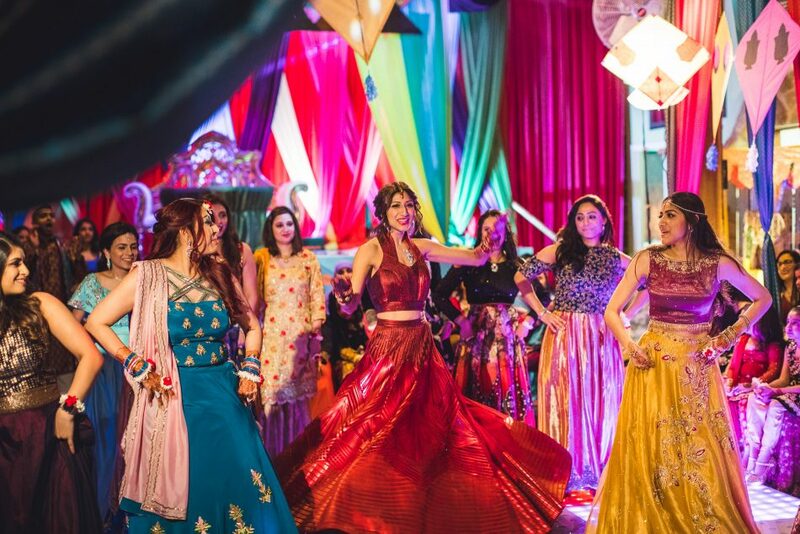 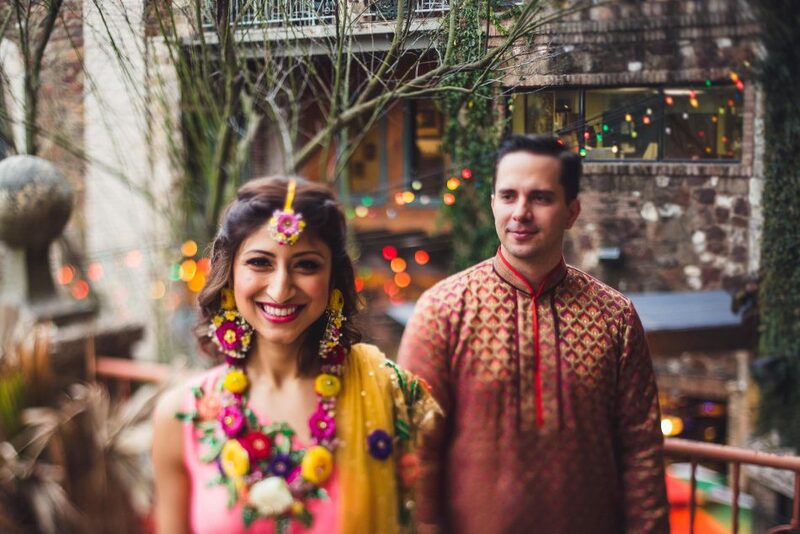 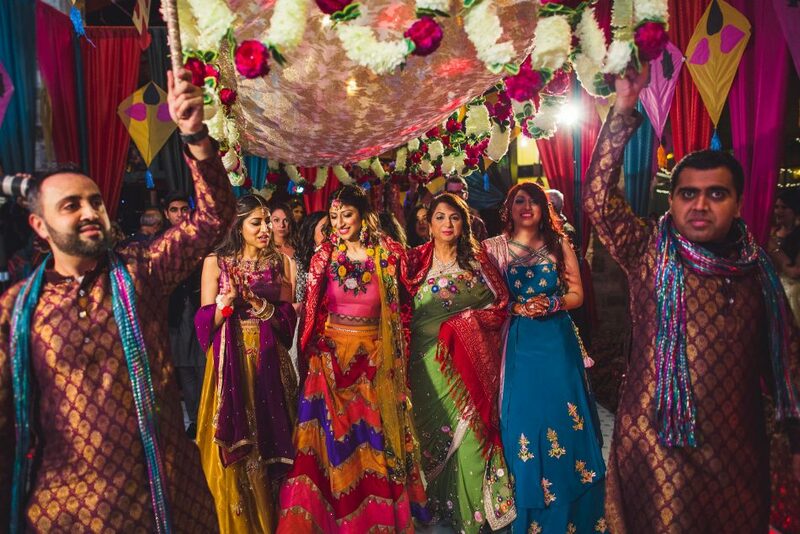 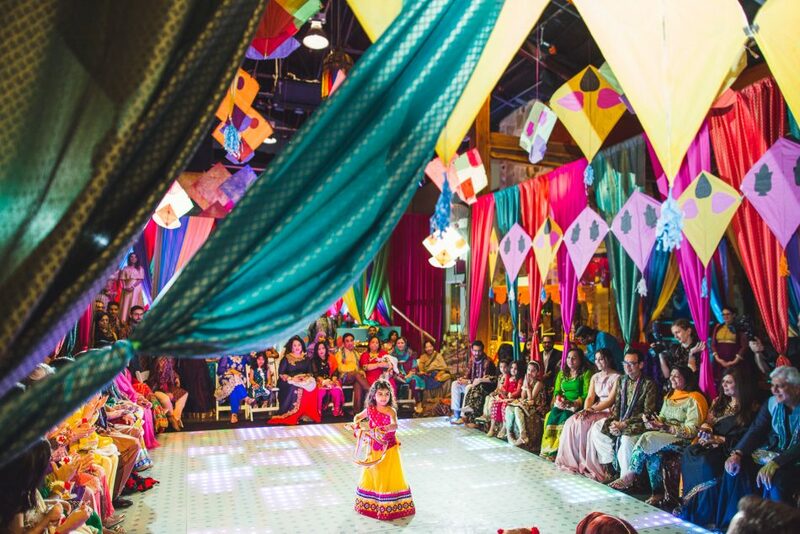 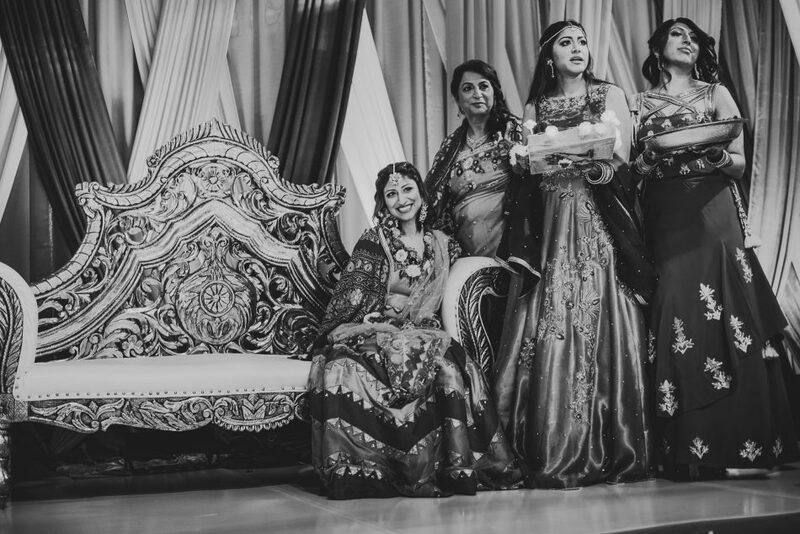 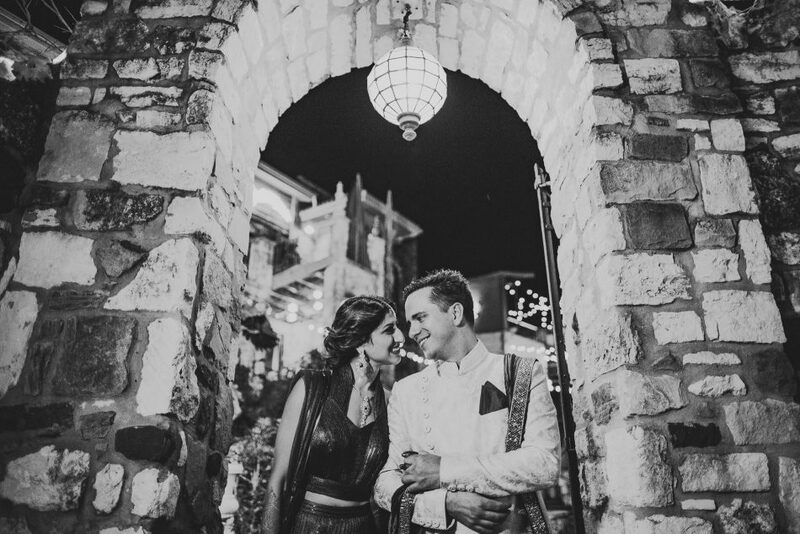 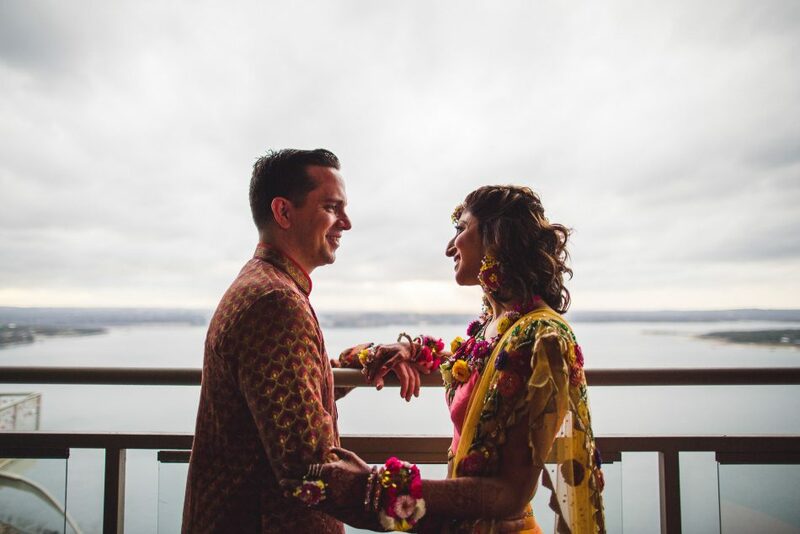 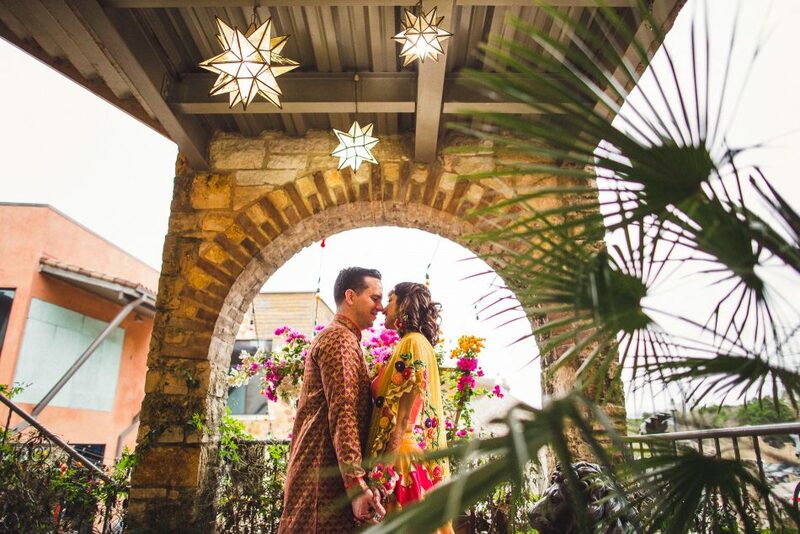 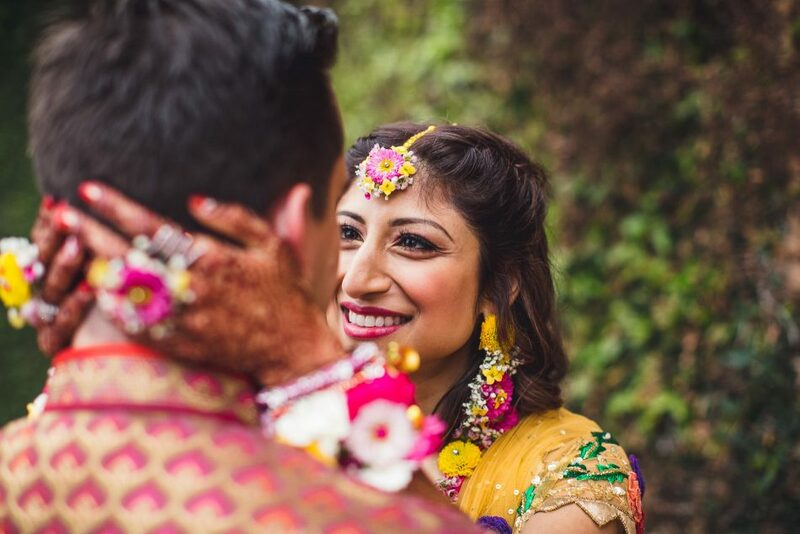 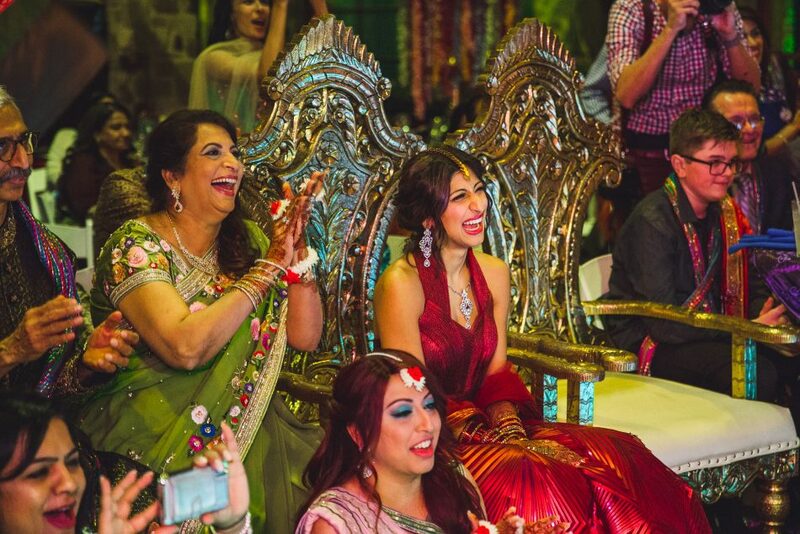 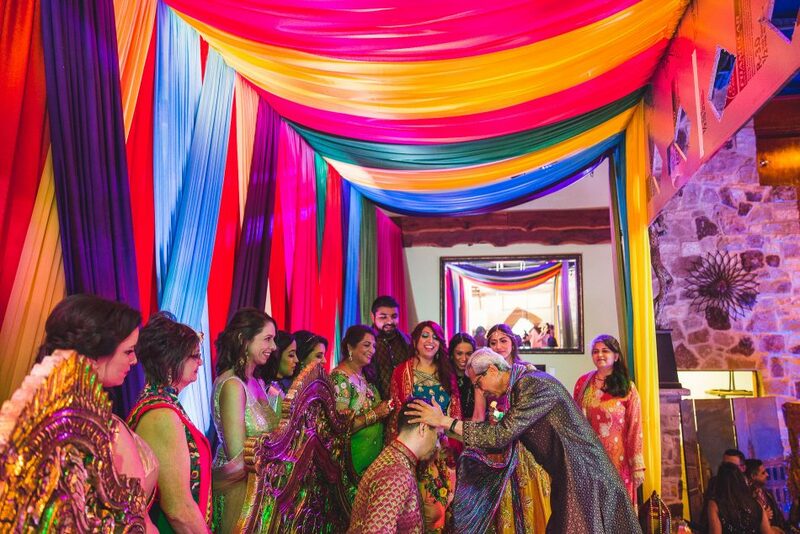 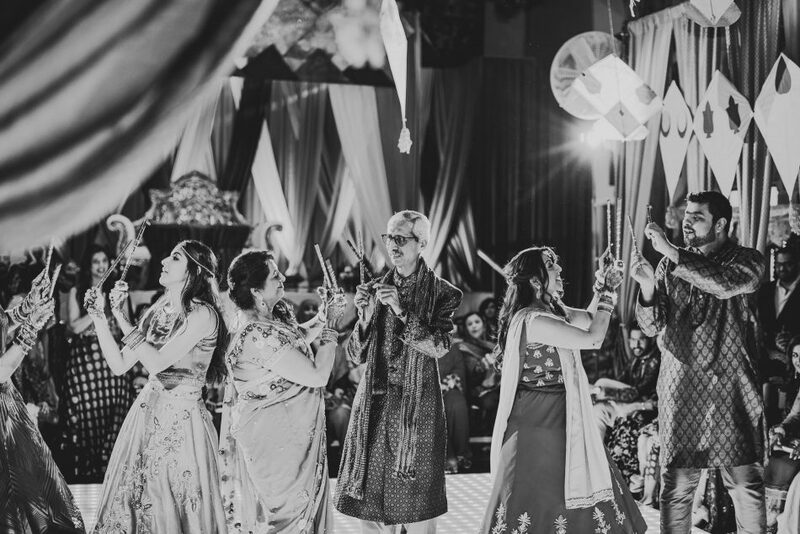 We loved this beautiful Austin Sangeet ceremony at The Oasis! 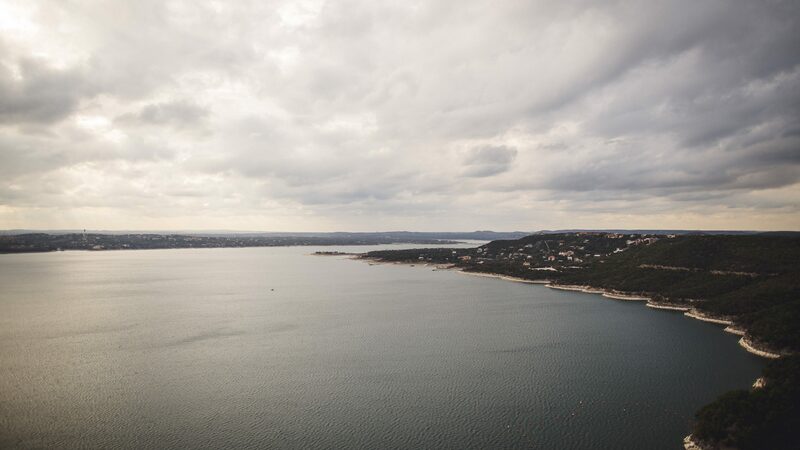 The Oasis has one of the most scenic sunset views in Austin. 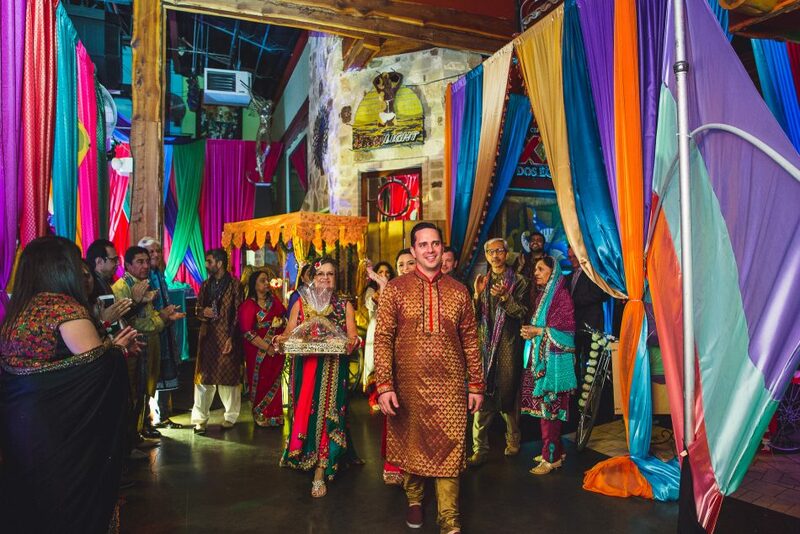 It’s a great venue for rehearsal dinners and celebrations. 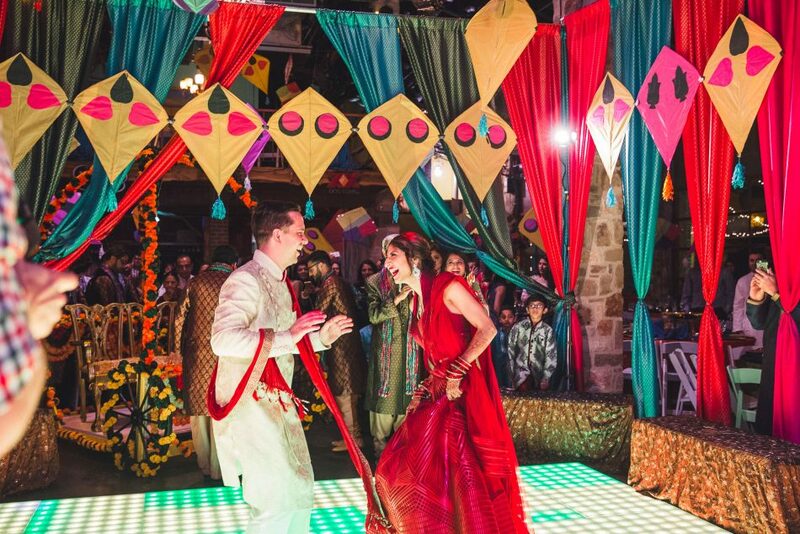 The Sangeet theme was the Basant Kite Festival, so there were lots of colorful kite decorations. 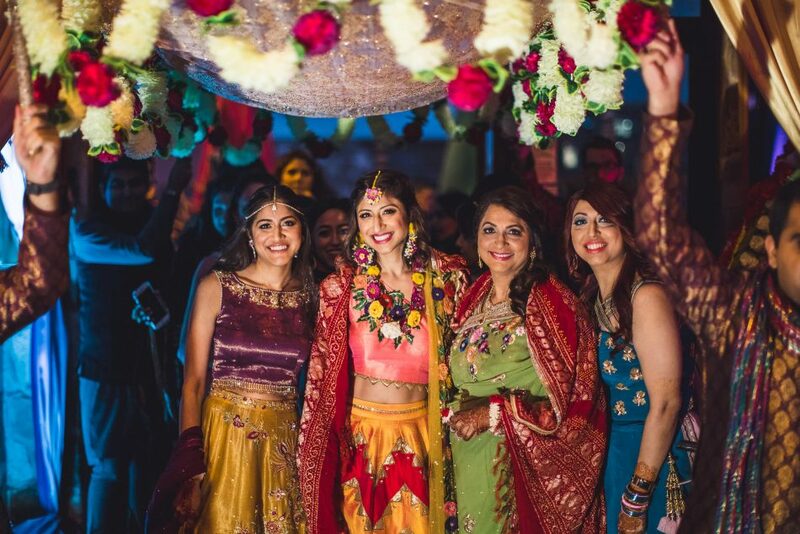 Annie wore two different outfits during the celebration. 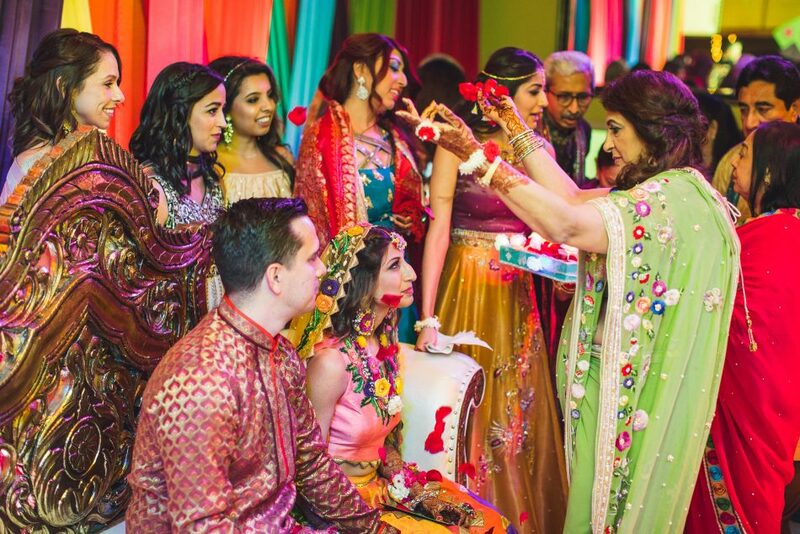 Her first outfit was a bright spring colored lehenga with bright pink and yellow floral jewelry. 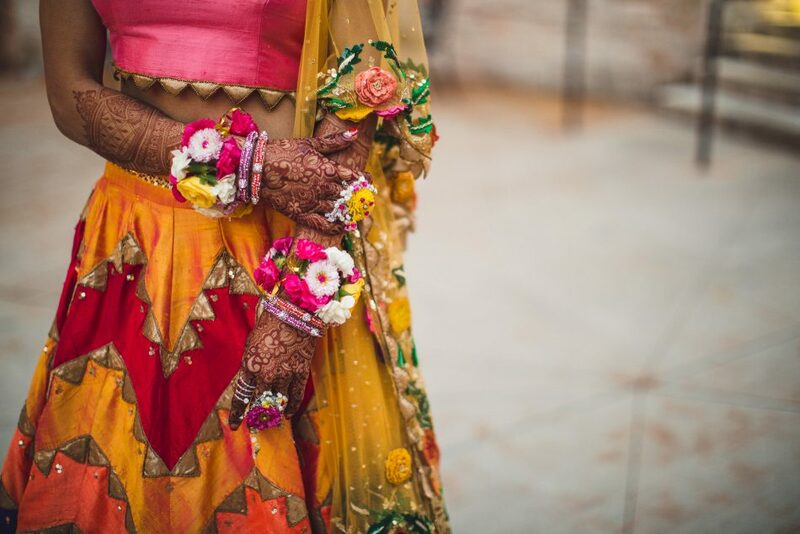 traditional outfit with lots of bright colors and a modern outfit made out of a thin metal! 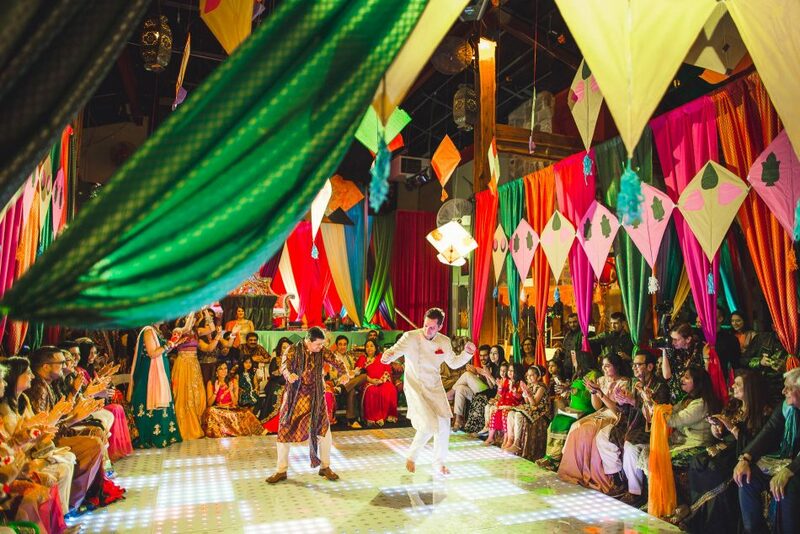 They had a big celebration, with lots of choreographed dance performances on an LED dance floor!!! 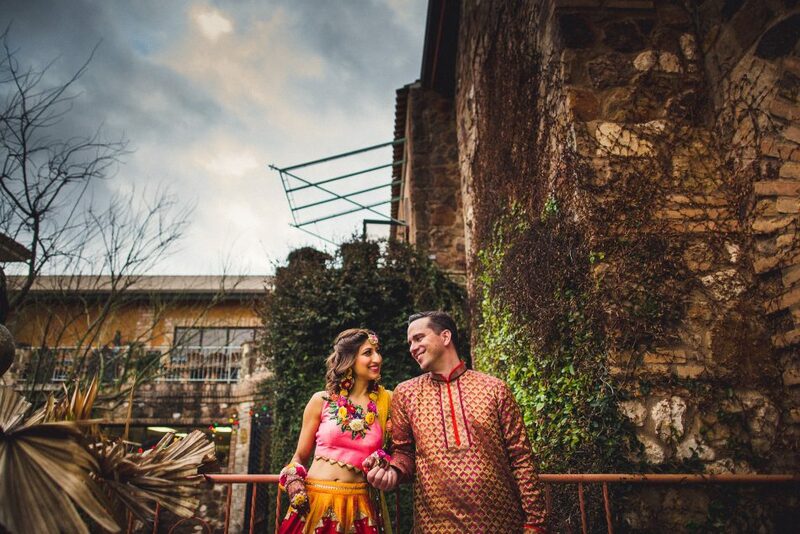 Check out the 2nd day of their wedding celebration at Villa Antonia!